Attach photos of upholstery, for accurate quote. 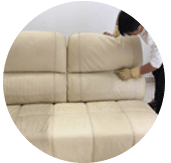 Our pro team help provides lipstick stain removal service from sofa, mattress, carpet, car seats and upholstery items. 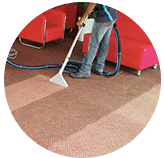 We are an established carpet cleaning company in Kuala Lumpur and Selangor, Malaysia. Lipstick goes a long way when it comes to enhancing our appearance. 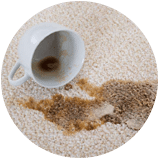 However, when your lips accidentally comes into contact with your carpet and it becomes smudged, its attractive qualities become reduced to stain and lipstick stain removal service is required. Lip stick stain removal can be tedious or easy due to different variations of lipsticks and make of fabrics. 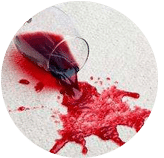 When you encounter a lipstick stain, it is best to seek and use lipstick stain removal services from a reliable cleaning company. 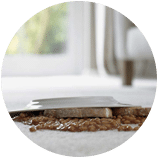 Experts & Professional Service: This is because being professionals, we have better stain removal agents and the needed expertise. 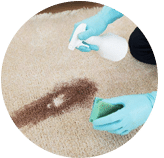 This will guarantee safe removal of the stain without causing damage to your carpet. 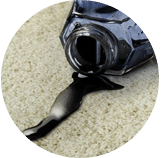 Fast Service: It is important to try and get new lipstick stain removed from your carpet as soon as it is discovered to prevent it from setting in especially if the cloth is white. Our pro team is easily reached on the phone. Contacting us before you try to take on the lipstick stain yourself might be a good idea. This is because we will be able to respond with tips to remove the lipstick stain from your item. 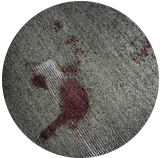 Being experienced lipstick stain removal service providers, we advise the following when it comes to removing lipstick stain from carpets, mattress, sofa, couches and curtains. 1. Identify the material from which your carpet is made of before you proceed to wash it or apply hair spray on the lipstick stain. Non-washable materials should be left for professional lipstick stain removal service providers. Trying do it yourself step might cause irreversible damage on your carpet. 2. 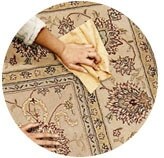 With a damp clean cloth, blot the stained area to remove any residue. Lipstick contains grease. Using a stain care remover that work on grease will be helpful. Spray it on the stain and let it sit for a few minutes. 3. Again, with a damp clean cloth, dap and repeat the blotting to treat the stain. At this point, lipstick makeup stain should start transferring from the carpet to the cloth. 4. Mix your favourite liquid laundry soap detergent product or stain remover into a paste using warm water and rub it on your carpet where the lipstick had blemished. 5. 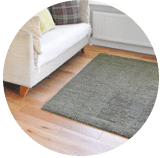 Finally, soak a clean sponge in a dish of water and rinse the excess detergent products paste off your carpet and then dub with a clean towel to dry. Remember, if the lipstick stain gets too stubborn, contact us for professional stain removal services. Search no longer and please contact our customer and sales support team via a call or drop us a message for more information, tips and to get a FREE quote for our lipstick stain removal cleaning service right now! What happens after I have submitted my enquiry? 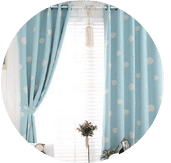 Our customer service team will reply to your request within a few working hours to find out more and discuss further about the lipstick stain removal cleaning service that you require. 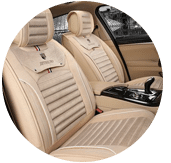 Subsequently, we will issue you a quotation and an invoice for the lipstick stain removal cleaning service. Which areas does your company cover? 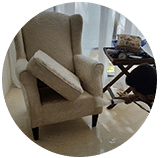 Our lipstick stain removal cleaning service is available in Peninsula Malaysia from Kuala Lumpur, Selangor, Ipoh, Johor, Malacca and Penang. Speak to our team to enquire more about the lipstick stain removal cleaning service that we provide in your area. I have a special request for the lipstick stain removal cleaning service, can this be done? 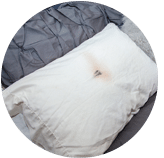 We understand that sometimes our customer have special requests for lipstick stain removal service with regards to timing and other matters. In this scenario, you can contact our customer representative team at 017-232-6491 to discuss your lipstick stain removal cleaning request. Office Address: A-3-17, Blok A, Apt Seri Jati, Jalan Wawasan 5/4, Pusat Bandar Puchong, 47160, Puchong Selangor. Registered Business Address: No.19, Persiaran Rishah 32 Taman Tinggi, 30100 Ipoh, Perak.